When you’re looking for quality and reliability, then look no further than Hunter Douglas shutters from All About Blinds. With the feel of the Florida sun continually beating down on your home, it may be time to invest in Hunter Douglas shutters for better light and heat control than tradition shades. Hunter Douglas shutters are scientifically designed to keep the hot sun out during those blistering Florida summers. The additional blockage also cuts down on your energy bills and the wear of your air-conditioner system. When you live in Florida, it’s important to take preventative steps not only to keep your family cool, but to protect your other household investments. Now this may sound like a contradiction, but shutters can even keep the heat in during those cold Florida winters. Hunter Douglas shutters reduce the heat loss from windows by 50%. Essentially, shutters keep your home comfortable no matter what the weather may be outside. Home intruders often look for easy ways in and out of a home. Shutters do not provide that all-accessible entrance and exit that they want. It’s a more stylish look than those gaudy security bars while still providing the same amount of safety. Essentially, if you are looking for a simple way to control air flow in your home, reduce energy costs, and provide additional safety, then you want Hunter Douglas shutters. Hunter Douglas is the right choice for many Jacksonville, Florida, because of their style, design, and lifetime guarantee. 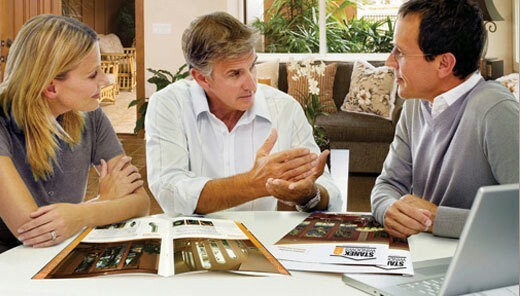 To learn more about the benefits of Hunter Douglas shutters, visit our showroom in Jacksonville, Florida, today.